The super fast answer is: Build a 5-year forecast of unlevered free cash flow based on reasonable assumptions, calculate a terminal value with an exit multiple approach, and discount all those cash flows to their present value using the company’s WACC. Of course, it’s also a bit more complicated than that…. To answer this interview question in more detail, we’ve broken it down into several basic steps below. The key to answering “Walk me through a DCF” is a structured approach… and lots of direct experience building DCF models in Excel. Screenshot of a DCF model from CFI’s online financial modeling courses! The first step in the DCF model process is to build a forecast of the three financial statements, based on assumptions about how the business will perform in the future. On average, this forecast typically goes out about five years. Of course, there are exceptions and it may be longer or shorter than this. The forecast has to build up to unlevered free cash flowUnlevered Free Cash FlowUnlevered Free Cash Flow is a theoretical cash flow figure for a business, assuming the company is completely debt free with no interest expense. It's used in financial modeling to calculate a company's enterprise value. The formula = EBIT - Taxes + Depreciation & Amortization - Capex – Change in Working Capital (free cash flow to the firm or FCFF). We’ve published a detailed guide on how to calculate unlevered free cash flow, but the quick answer is to take EBITEBIT GuideEBIT stands for Earnings Before Interest and Taxes and is one of the last subtotals in the income statement before net income. EBIT is also sometimes referred to as operating income and is called this because it's found by deducting all operating expenses (production and non-production costs) from sales revenue., less taxes, less capital expenditures, plus depreciation and amortization, less any increases in non-cash working capitalNet Working CapitalNet Working Capital (NWC) is the difference between a company's current assets (net of cash) and current liabilities (net of debt) on its balance sheet. It is a measure of a company’s liquidity and its ability to meet short-term obligations as well as fund operations of the business. The ideal position is to. See our ultimate cash flow guideValuationFree valuation guides to learn the most important concepts at your own pace. These articles will teach you business valuation best practices and how to value a company using comparable company analysis, discounted cash flow (DCF) modeling, and precedent transactions, as used in investment banking, equity research, to learn more about the various types of cash flows. We continue walking through the DCF model by calculating the terminal valueKnowledgeCFI self-study guides are a great way to improve technical knowledge of finance, accounting, financial modeling, valuation, trading, economics, and other areas. These resources give you the technical skills you need to advance your career in investment banking, equity research, corporate development, and other areas of. 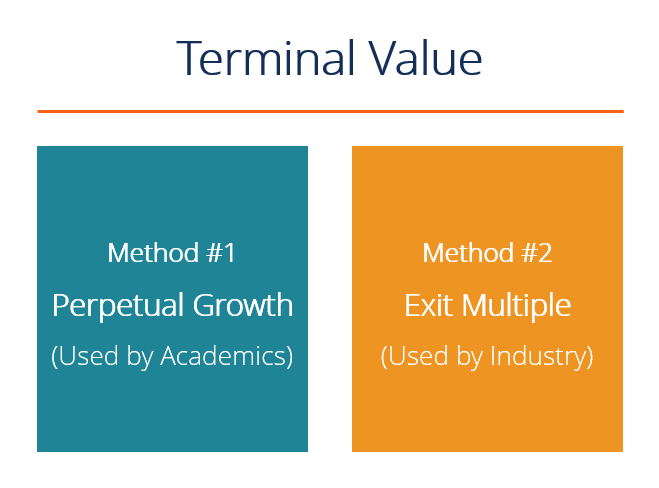 There are two approaches to calculating a terminal value: perpetual growth rate and exit multiple. In the perpetual growth rateTerminal Growth RateThe terminal growth rate is a constant rate at which a firm’s expected free cash flows are assumed to grow at, indefinitely. 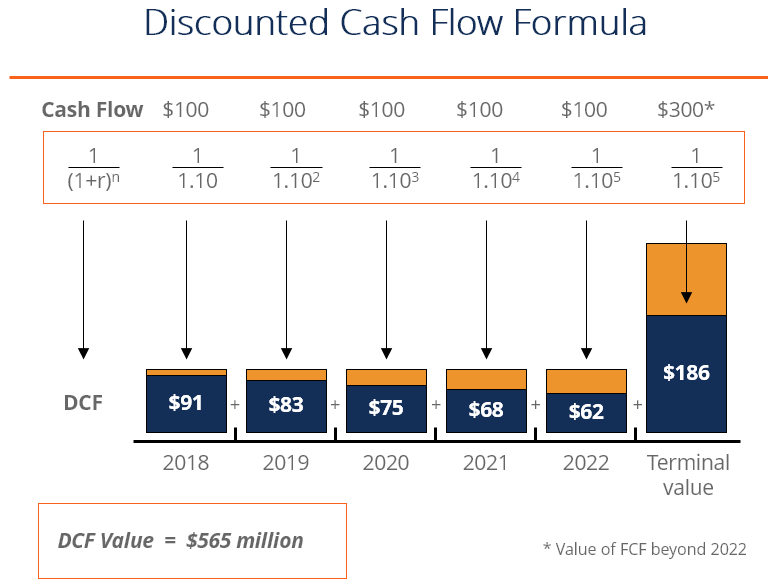 This growth rate is used beyond the forecast period in a discounted cash flow (DCF) model, from the end of forecasting period until and assume that the firm’s free cash flow will continue technique, the business is assumed to grow it’s unlevered free cash flow at a steady rate forever. This growth rate should be fairly moderate, as, otherwise, the company would become unrealistically big. This poses a challenge for valuing early stage, high growth businesses. With the exit multiple approach, the business is assumed to be sold based on a valuation multiple, such as EV/EBITDAEV/EBITDAEV/EBITDA is used in valuation to compare the value of similar businesses by evaluating their Enterprise Value (EV) to EBITDA multiple relative to an average. In this guide, we will break down the EV/EBTIDA multiple into its various components, and walk you through how to calculate it step by step. This multiple is typically based on comparable company analysisComparable Company AnalysisHow to perform Comparable Company Analysis. This guide shows you step-by-step how to build comparable company analysis ("Comps"), includes a free template and many examples. Comps is a relative valuation methodology that looks at ratios of similar public companies and uses them to derive the value of another business. This method is more common in investment banking. In step 3 of this DCF walk-through, it’s time to discount the forecast period (from step 1) and the terminal value (from step 2) back to the present value using a discount rate. The discount rate is almost always equal to the company’s weighted average cost of capital (WACC). See our guide to calculating WACCWACCWACC is a firm’s Weighted Average Cost of Capital and represents its blended cost of capital including equity and debt. The WACC formula is = (E/V x Re) + ((D/V x Rd) x (1-T)). This guide will provide an overview of what it is, why its used, how to calculate it, and also provides a downloadable WACC calculator for more details on the subject, but the quick summary is that this represents the required rate of return investors expect from the company, and thus represents its opportunity cost. At this point, we’ve arrived at the enterprise value for the business, since we used unlevered free cash flow. It’s possible to derive equity value by subtracting any debt and adding any cash on the balance sheetBalance SheetThe balance sheet is one of the three fundamental financial statements. These statements are key to both financial modeling and accounting. The balance sheet displays the company’s total assets, and how these assets are financed, through either debt or equity. Assets = Liabilities + Equity to the enterprise value. See our guide on equity value vs enterprise valueEnterprise Value vs Equity ValueEnterprise value vs equity value. This guide explains the difference between the enterprise value (firm value) and the equity value of a business. See an example of how to calculate each and download the calculator. Enterprise value = equity value + debt - cash. Learn the meaning and how each is used in valuation. At this point in the modeling process, an investment banking analystInvestment Banking Career PathInvestment banking career guide - plan your IB career path. Learn about investment banking salaries, how to get hired, and what to do after a career in IB. The investment banking division (IBD) helps governments, corporations, and institutions raise capital and complete mergers and acquisitions (M&A). Analysts work 100 will typically perform extensive sensitivity and scenario analysisScenario AnalysisScenario analysis is a technique used to analyze decisions through speculating various possible outcomes in financial investments. In financial modeling, this process is typically used to estimate changes in the value of a business or cash flow. By using the Choose or Offset functions an analyst can crease base case to determine a reasonable range of values for the business, as opposed to arriving at a singular value for the company. By now you’ve really satisfied the question of “Walk me through a DCF analysis”. By now you’re all set to properly answer “Walk me through a DCF model” or “How do you perform a discounted cash flow analysis” in an interview. CFI is the official provider of the global Financial Modeling & Valuation Analyst (FMVA)™FMVA™ CertificationThe Financial Modeling & Valueation Analyst (FMVA)™ accreditation is a global standard for financial analysts that covers finance, accounting, financial modeling, valuation, budgeting, forecasting, presentations, and strategy. certification program, designed to help anyone become a world-class financial analyst.